Helinox Sunset Chair. Lean back and make the SUNSET CHAIR your home away from home on your next adventure. 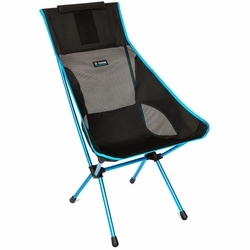 Its taller profile keeps you higher off the ground for easy in and out, while the storage-sack-turned-pillow makes napping a snap.